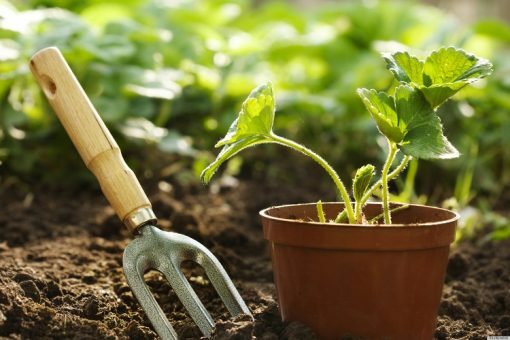 Increasingly, home gardeners and even commercial growers are looking for more environmentally friendly ways to boost plant growth, health, and food production. Decades of overzealous use of artificial synthetic chemical fertilizers has done more long-term damage than good to the soil. Artificial fertilizers generally only feed the plants. However, good organic fertilizers not only feed the plants but they also usually improve general soil condition and health. Organic fertilizers also provide nutrition for important soil microorganisms and earthworms. Ozbreed promotes organic fertilizers as a choice for better soil, happier and healthier plants, and a cleaner environment for everyone. What Makes a Good Fertilizer? It is important to choose a fertilizer that works as a soil conditioner as well feeding your plants. If you only add artificial food for your plants, over time the soil will lose the organic matter that helps hold water in the soil. Over time this will cause nutrients such as nitrogen to leach out faster meaning you have to apply more and more fertilizer. Organic fertilizers have a more balanced range of important minerals and nutrients than artificial fertilizers. These supporting ingredients help your soil continue to function as a healthy life-giving medium for your plants and for soil organisms. The N-P-K content (nitrogen, phosphorous, potassium) is the key to every good fertilizer. Nitrogen is especially important because it is probably the element that is most likely to be lacking in your garden. This nitrogen deficit is because nitrogen is greedily consumed by plants for growth and nitrogen also rapidly leaches from soil. However, fertilizers that release nitrogen too quickly can cause plants too grow too rapidly becoming spindly and weak. 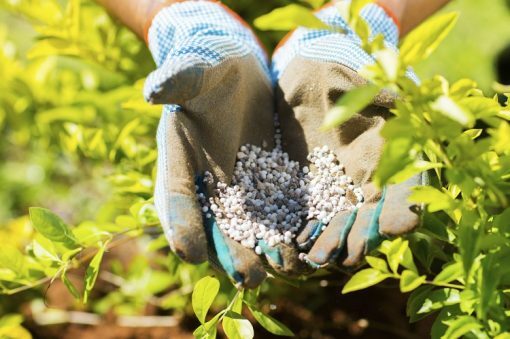 Organic fertilizers, especially those made from plant materials, tend to release nitrogen more slowly than fish or animal based products or chemical fertilizers. Phosphorous is important for good flower, fruit, and root health. And Potassium plays a critical role in developing plant strength but its overuse can be fatal. It is well worth doing a soil test every year or so to find out what is lacking. Some fertilizers may also alter the soil pH levels and so you may need to rethink your feeding programme. Soils with a low pH level (acidic) often lack nitrogen, phosphorous, potassium, magnesium, sulphur, and calcium. On the other hand, soils with a high pH (alkaline) may lack iron, zinc, copper, manganese, and boron. The happy medium is usually around 6.0 to 6.5 but remember, some plants prefer a more acidic or alkaline soil. 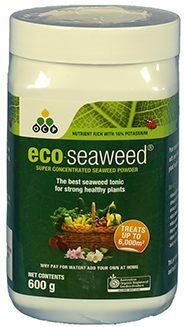 Eco-seaweed is an excellent organic fertilizer that can also be used as a foliar spray. It’s 100% seaweed based and contains more than 60 key nutrients including 16% potassium. Organic liquid fertilizers are a great way to boost plant growth during high needs periods. Fast growing veggies will benefit from liquid fertilizers (foliar sprays) as will fruit trees and flowering plants. Liquid seaweed is one of the most popular forms of liquid fertilizer. When using liquid fertilizers on foliage it can help the fertilizer stick to the leaves if you mix some coconut oil (1/4 of a teaspoon per 4.5L) with the fertilizer. It’s best to spray early in the morning or evening and avoid spraying when rain is due. Apply liquid fertilizers every two weeks or so during high plant demand periods. Water into the soil around plants or use as a foliage spray. Plant and seaweed based fertilizers, rock phosphate, compost, and chicken and other animal manures are all examples of good slow release organic fertilizers. 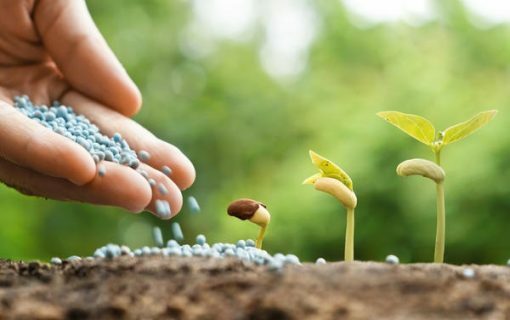 Slow release fertilizers release their goodness gradually over time because it simply takes time to break down the organic material into forms that your plants can use. Remember, slow release fertilizers may take up to a year to release all their goodness especially as cooler autumn and winter temperatures will slow down the decomposition and release of the fertilizer’s nutrients. Slow release fertilizers for lawns typically have a higher nitrogen content and it will take longer for that nitrogen to become available to the grass. Quick release fertilizers for lawns can be useful because they release nitrogen quickly allowing a newly laid lawn to grow rapidly. However, their effect is short-lived. This may encourage you to apply excessive amounts of fertilizer and this could potentially cause grass burn. Some experts recommend that a good lawn fertilizer should consist of at least 50% slow release nitrogen. 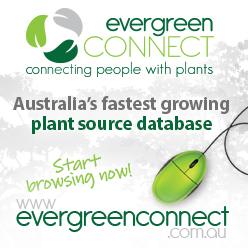 Most gardens will contain a wide variety of plants that demand a variety of favourable growing conditions. It’s always a good idea to test the soil from time to time to see what deficiencies need to be remedied. Good organic slow release fertilizers including compost, plant and seaweed based fertilizers, rock phosphate, and chicken and other animal manures will help condition the soil. 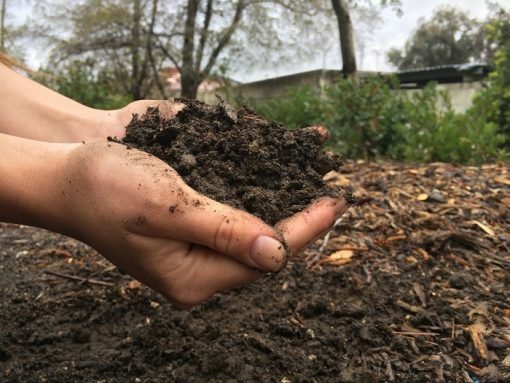 It’s important to add organic matter to the soil to improve water holding capacity and slow down the leaching out of nutrients. All good organic fertilizers should help with this. Blood meal is one of the best sources of nitrogen. Blood meal contains around 12 to 13% nitrogen and is one of the fastest acting organic fertilizers available. Fish emulsion and coffee grounds contain high levels of nitrogen too. Grass clippings are also an excellent source of slow release nitrogen containing some 2 to 5% nitrogen. But but it will take some time for the nitrogen in this form to be accessible to the grass. It is easy to over-fertilize trees, especially fruit trees. Fortunately, there are some clear indicators that will indicate when your trees are hungry. First look at the amount of new shoot growth. If new shoots are growing slower than normal you probably need to add fertilizer. Leaf discolouration too is usually another sign that you need to apply fertilizer. Trees, especially fruiting trees, need a good range of nutrients as well as the usual nitrogen, phosphorous, and potassium. High content nitrogen fertilizers such as blood meal or chicken manure are good choices. Apple trees are particularly high users of potassium and calcium so make sure you check the fertilizer labels to ensure they’re getting what they need. Be careful using fertilizers with a high nitrogen content with young trees of any variety, as the nitrogen may burn roots. Herbs generally tolerate a wide range of soil conditions and over-fertilizing herbs can be detrimental to their essential oil content. A good organic slow release fertilizer applied during planting, backed up by a liquid fertilizer during the spring will provide ample nutrition for most herbs. Ideally, good organic fertilizers for flowers will have higher ratios of phosphorous than other fertilizers. This is because the plants consume larger quantities of phosphorous during flowering—bone meal is a good source of phosphorous. A lack of certain elements in the soil may show up in flowering plants as a discolouration in the leaves e.g. yellowing due to a lack of iron so keep an eye open for this. A good organic fertilizer should contain balanced ratios of all the essential nutrients and elements required for healthy flowering plants. Using a liquid fertilizer or foliar spray such as Eco-seaweed is a great way to get nutrition where it’s needed quickly during the high needs flowering season. When growing vegetables you literally get out of them what you put in. So if your soil is lacking essential nutrients then you won’t be getting them in your vegetables either. A good organic slow release fertilizer will help condition the soil, feed vital soil organisms and improve soil structure. Slow release fertilizers for vegetables should also contain magnesium and calcium. But fast growing vegetable plants will also definitely benefit from a more readily absorbed fertilizer. Liquid fertilizers and foliar sprays are a great way to get nutrition to your hungry, rapidly growing vegetable plants. Fish emulsion and blood meal tend to release their nitrogen fairly quickly too.